When you have players like Rory McIlroy and Tiger Woods using your equipment, it can be difficult to keep new equipment a secret. 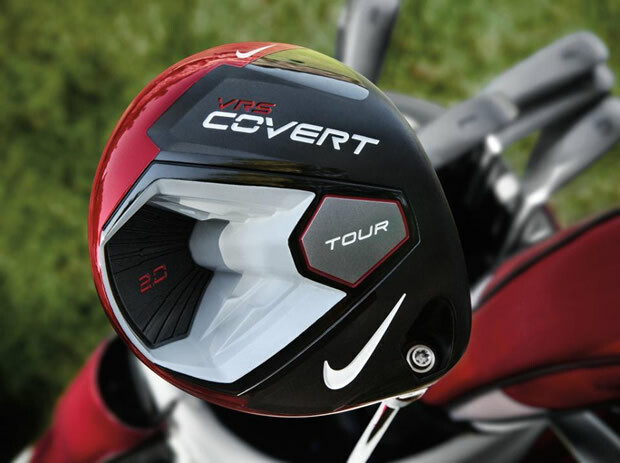 Alas, after weeks of speculation and rumours, Nike have officially released the VRS Covert 2.0 Tour driver. Highlighted by a new Fly-Brace technology, the 440cc, pear-shaped Covert 2.0 Tour driver has a 15% larger face than the previous Nike VRS Covert Tour driver and is designed to offer more forgiving distance along with easy-to-use adjustability. McIlroy has had the new driver in his bag for a few weeks now and played a big part in the design of the VRS Covert 2.0. The cavity-back design of the original Covert driver has stayed largely the same in the new Covert 2.0 Tour driver. By removing weight and mass from the middle and back of the club head, Nike are able to put more mass behind the toe and heel. Nike say this configuration of weight enhances shots struck off centre and adds more stability across the face of the driver. 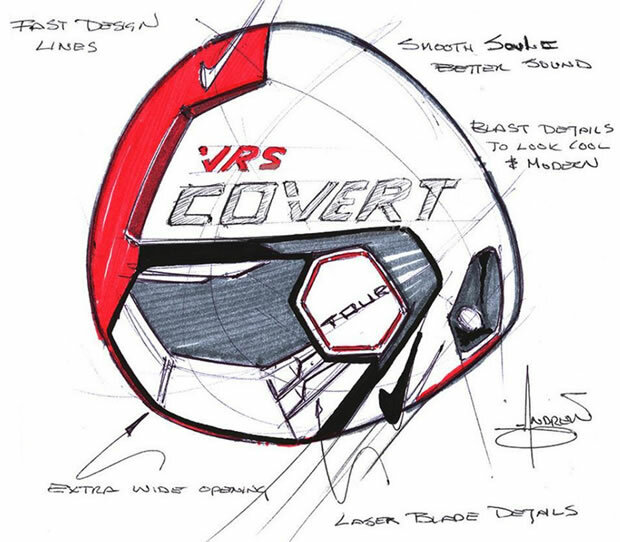 Here's a rare look at one of the initial, sketched designs for the Nike VRS Covert 2.0 Tour driver. One of the new additions to the Covert 2.0 drivers is Nike's new Fly-Brace technology. Essentially, the construction of the cavity now includes a new technology that ties the sole of the club to the crown. Nike say the resulting performance means up to 6 yards more distance than the previous VRS Covert drivers. Nike also redesigned their NexCOR face. Using a variable thickness behind the face, Nike are able to produce a face that is faster and hotter than before. The area of the new face is now 15% larger than before. Lastly, the VRS Covert 2.0 features Nike's FlexLoft system. It is the same adjustability that was found in the original Covert range, and allows players to adjust lofts from 8.5 to 12.5 degrees whilst also independently modifying for three different face angle positions - open, neutral or closed - to further optimise launch and spin conditions.